Jung Bahadur Rana, the first Rana prime minister of Nepal, built the foundations of ‘Europeanization’ in Nepal. He was the first Hindu ruler to sail to England and France in 1850 A.D., bringing back with him Victorian sensibilities and western aesthetics. Schooling for the children of ruling families was another of his contributions after his visit to Europe. While Nepal-Britain friendship was steadily progressing, Jung Bahadur felt that Nepal had the necessity of not only warriors who could overcome any of her enemies, but also educated human resources who were familiar with diplomacy, politics, geography and above all the English language, in order to maintain her relation with the dominant west. Durbar high school – a pioneer in the field of education in Nepal – was hence the result of this necessity. Durbar High School started its journey from a small room in Thapathali Durbar with students from ruling families and an Englishman called Kenning as its first teacher. The school was to remain inside the durbars (palaces) of Ranas, thus its name ‘Durbar School’. That was the year 1854 A.D. when Nepal saw the very first rays of formal education. In its initial stages, there were no separate classes and students were taught English, history, geography, mathematics and Nepali according to their capabilities. In 1876, Maharaja Ranodipp Singh allowed the school to be open for children of high class government officers as well, and thus, although remaining within the confines of the palaces, the school saw its way towards being public. The school had to shift constantly – from Thapathali Durbar to Charburja Durbar to Seto durbar and then to Narayanhity Durbar. In 1883 the school was again shifted back to the Thapathali Durbar and then to a small shed in Jamal. Finally in 1891 A.D., Bir Shumsher, the then prime minister of Nepal, had the present elongated building built to the west of Ranipokhari. From this time till today, Durbar High School has remained in its own building. Although the school was funded by the Nepal government since its establishment, Prime Minister Bir Shumsher made the provision of guthi system to look after this school. Later when Juddha Shumsher came to power, he revised the system and made the school fully funded by the Nepal government. In 1900, Prime Minister Dev Shumsher made the school totally public and in 1967, its name was changed to Bhanu Madhyamik Vidhyalaya. It has been a co-educational school since 1973 A.D.
As the school improved and classes upgraded to ten, its graduates had a problem – their certificates were not recognized since the school was not affiliated to any university. Thus, during the regime of Maharaja Ranodipp Singh Rana, the school was affiliated to Calcutta University, India and consequently, in 1880 for the first time, a group of students who had successfully appeared for the test examinations were sent to Calcutta University for entrance examinations. This affiliation with Calcutta University lasted till 1917. As the number of students going to India increased every year, it ultimately affected the government’s expenses. Hence, the Nepal government requested Calcutta University to open an examination centre in Kathmandu itself, but the request was declined. 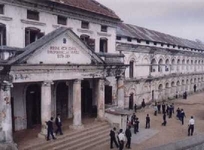 The school then changed its affiliation to Patna University and an examination centre was opened in Tri-Chandra College wherefrom matriculation examinations were regularly held in Kathmandu. In 1933, Nepal government formed its own S.L.C. examination board. The Durbar High School building lies on a north-south axis in an approximately four and a half ropanis of land (1 ropani = 5476 sq. 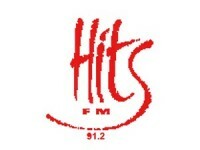 ft). This white washed, solid brick architecture literally appears to reflect the power of knowledge. The building stands proudly with its long arches. Today the school is in dilapidated condition. The classrooms are there; the students are there, but the environment which matters the most is degrading. The rooms are dark and dingy; ventilation is poor and the furniture and furnishings are grossly inadequate. Corridors that run along its length; its covered porches and sloped roofs speaking loudly of a British style of architecture but captured in a local context. The rhythm and repetition of its beautiful detailing has made the fenestration elegant and enchanting. As one walks along the its corridors, glimpses of the adjoining architectural landmarks of Ranipokhari, the Ghantaghar and Tri-Chandra College induce an aura of the royal Rana regime – a concept which had probably been deliberately created. Nevertheless, there are students are still graduating from the school and that is what matters.